Rendering artist Aksyonov Nikita has reminded us that we miss the R-Class. The new Mercedes CLS previews a that will likely spread to other models in the lineup. We have already seen what a rendering artist can do when applying the CLS front fascia to the upcoming , which looked fantastic. 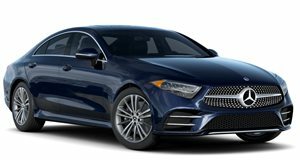 That rendering was very forward thinking considering that the A-Class is about to get a redesign. However, what if a rendering artist decided to apply the CLS design to an older Mercedes model like the R-Class? Russian has done just that. For those who don't remember the R-Class, that's because it wasn't a very popular model in the US. The R-Class was essentially a minivan but with normal rear doors instead of sliding ones. The V6-powered R350 offered 305 hp going out to the rear wheels, which was extremely impressive for a minivan. Amazingly, Mercedes also built an R63 AMG, which was powered by a 6.2-liter M156 V8 with 503 hp and 465 lb-ft. The R63 was only available by special order, which means that it may end up . The R-Class may not have been the prettiest Mercedes, but it was definitely the coolest minivan of all time and is one our our . We absolutely love the way the R-Class looks with the new CLS front fascia grafted onto it. We could do without the massive Mercedes emblem on the rear tailgate, but other than that we love this rendering. The R-Class could be even better if Mercedes decided to do another R63 model with the latest 4.0-liter twin-turbo V8. There could also be an R53 AMG, which would use an inline-six engine with a hybrid drivetrain. We are only dreaming here, but we think that an all-new R-Class could be one of the most secretly cool cars on the market.